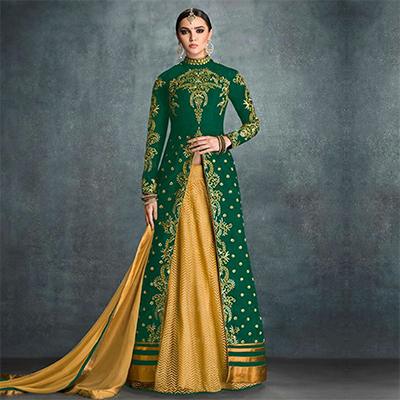 Grab all the limelight on you just like a diva on important functions by wearing this green designer anarkali suit. 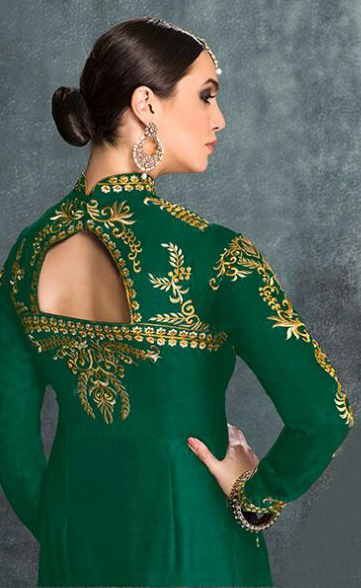 The embroidered work over the attire is awe aspiring. With variant cuts & silhouettes: this ensemble paired with a zari lehenga to make it look elegant & classy. 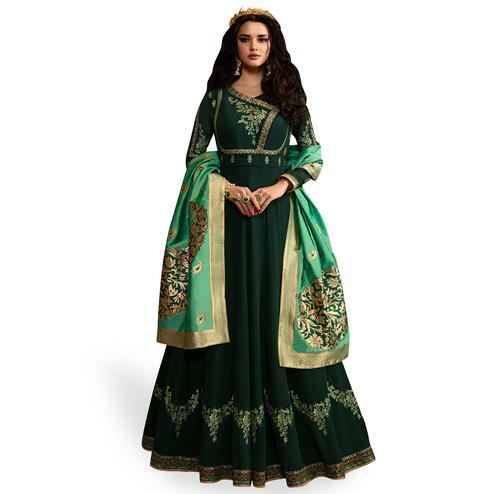 This outfit is perfect for parties weddings & occasions. It comes with a matching bottom & dupatta.